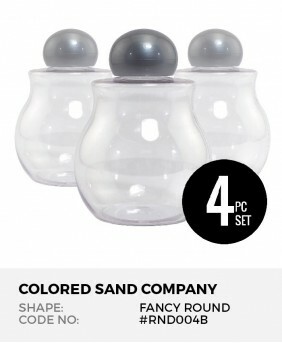 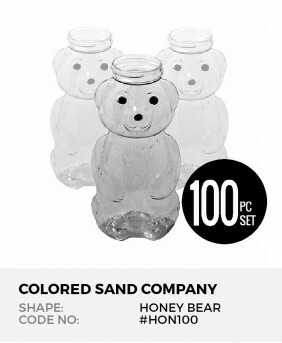 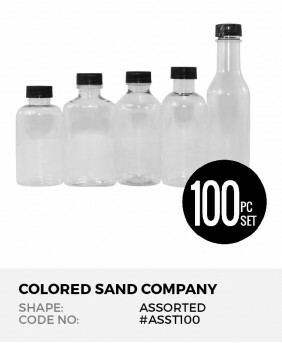 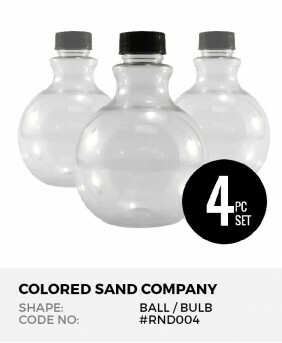 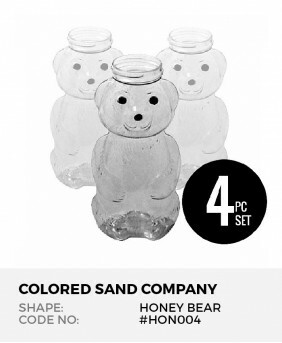 Clear, durable sand art bottles with lids. Assorted Shapes 8pc Sand Art Bottles Clear, durable bottles with.. 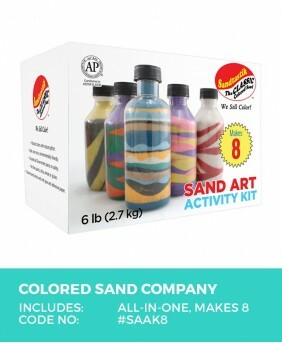 Colored Sand Art Activity Kit, Makes 8 Bottles Layer color aft.. 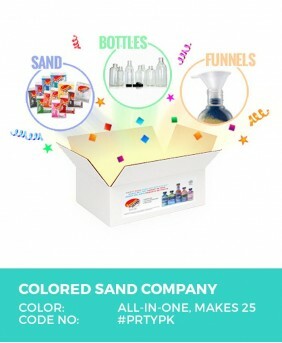 Colored Sand Art Activity Kit, Party Pack, Makes 25 Bottles Layer color ..